Mystery + Suspense Thriller 3 Book Box Set Deal! *(Box Set Deal, Not Free) Paradise Series: Paradise Series: 1,2,3 Crazy in Paradise, Deception in Paradise, Trouble in Paradise Box Set (Deal, Not Free) by Deborah Brown. Price: $0.99. Genre: Mystery Box Set Deal of the Day, Sponsor, Suspense Thriller, Romance, Women’s Adventure. Rated: 4.6 stars on 18 Reviews. 626 pages. Reviewers love it: Deborah Brown’s books are infectious! She has a joie de vivre that pours out of every page of her books! Gratifying! I loved every book in this series! It will leave you smiling! *Don’t Close Your Eyes (Stephanie Chalice Thrillers Book 1) by Lawrence Kelter. Price: Free. Genre: Mystery of the Day, Sponsor, Police Procedurals, Crime Thriller, Serial Killers. Rated: 4 stars on 154 Reviews. 322 pages. ASIN: B0053DTO2E. *Peter Stone by Alison Knight. Price: Free. Genre: Psychological Suspense of the Day, Sponsor, Psychological Thrillers. Rated: 4 stars on 1 Reviews. 249 pages. ASIN: B017H0099C. ISBN: 1518888542. $1 Awesome Adult Romance + Crime Thriller Deal of the Day! Reviewer – Mason is the best MC romance to come out in the past year! Awesome $1 Adult Romance + Crime Thriller Deal! *Mason: Inked Reapers MC (Deal, Not Free) by Heather West. Price: $0.99. Genre: Adult Romance Deal of the Day, Sponsor, Crime Thriller, Heist, Organized Crime. Rated: 4.5 stars on 31 Reviews. ASIN: B01BLW3GVA. Reviewers love it: If you ask me, Mason is the best MC romance to come out in the past year! Heather West really crushed this novel! Each of the characters bring a personality to the table and their relationships simply zing! This novel snagged my attention and didn’t let go! Very well written and delicious! $1 Fabulous Action Packed Thriller Deal! Reviewers: Reminiscent of Dan Brown’s The Da Vinci Code! An engrossing Archeology thriller crafted in the tradition of Douglas Preston & Lincoln Child. $1 Action-Packed Thriller Deal of the Day! 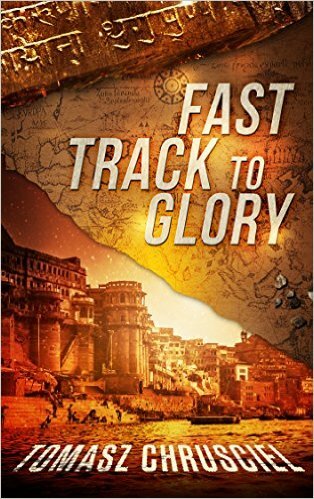 *Fast Track To Glory: An International Action Adventure Thriller (Deal, Not Free) by Tomasz Chrusciel. Price: $0.99. Genre: Thriller Deal of the Day, Sponsor, Mystery Thriller, Adventure, Suspense. Rated: 4.6 stars on 23 Reviews. 372 pages. ASIN: B01A75N0X6. Reviewers love it: This is a cracking read! Sleepless nights guaranteed! The non-stop action-packed thrill ride takes you across the world on a fabulous adventure! Impressive! It will sweep you along into its epic journey! Unpredictable! I have never read Tomasz Chrusciel, but I now plan to read more! 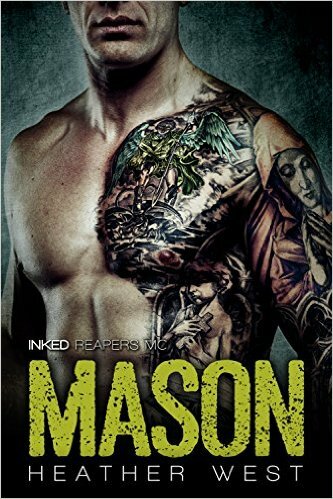 *Mason: Inked Reapers MC (Deal, Not Free) by Heather West. Price: $0.99. Genre: Crime Thriller Deal, Sponsor, Heist, Organized Crime. Rated: 4.5 stars on 31 Reviews. ASIN: B01BLW3GVA. Reviewers love it: If you ask me, Mason is the best MC romance to come out in the past year! Heather West really crushed this novel! Each of the characters bring a personality to the table and their relationships simply zing! This novel snagged my attention and didn’t let go! Very well written and delicious! *Fast Track To Glory: An International Action Adventure Thriller (Deal, Not Free) by Tomasz Chrusciel. Price: $0.99. Genre: Thriller Deal, Sponsor, Mystery Thriller, Suspense. Rated: 4.6 stars on 23 Reviews. 372 pages. ASIN: B01A75N0X6. Reviewers love it: This is a cracking read! Sleepless nights guaranteed! The non-stop action-packed thrill ride takes you across the world on a fabulous adventure! Impressive! It will sweep you along into its epic journey! Unpredictable! I have never read Tomasz Chrusciel, but I now plan to read more! *Full Circle by Tim Baker. Price: Free. Genre: Thriller, Contemporary Fiction, Suspense. Rated: 4.7 stars on 6 Reviews. 236 pages. ASIN: B0190QXD2Q. *Perigee (Repeat) by Patrick Chiles. Price: Free. Genre: Technothrillers, Exploration, Hard Science Fiction. Rated: 4.1 stars on 77 Reviews. 388 pages. ASIN: B006PNL48I. Dead Blonde (Repeat) by Beck Robertson. Price: Free. Genre: Crime Thriller, Serial Killers, Murder. Rated: 4.2 stars on 9 Reviews. 242 pages. ASIN: B00EHI04NY. Can’t decide if the cover is beautifully good or just candy floss gone totally wrong. *The Last Way Station by Jon Reisfeld. Price: Free. Genre: Psychological Thrillers, Historical. Rated: 4.3 stars on 27 Reviews. 76 pages. ASIN: B004ZR9KSW. ***Under the Sheets (Capitol Chronicles Book 1) by Shirley Hailstock. Price: Free. Genre: Adult Suspense Thriller, Sponsor, Suspense Thriller. Rated: 4.6 stars on 272 Reviews. 306 pages. ASIN: B008XYGBUS. Reviewers love it: A roller coaster ride! This story took me by storm from chapter 1! Robyn and Grant will pull all of your emotions and make you smile! Unforgettable! This book had me crying. It is a romance with a healthy dose of intrigue. This novel will make you think about love and life in a new way! A good, good read! *Red Hope: An Earth To Mars Technothriller (Deal, Not Free) by John Dreese. Price: $0.99. Genre: Thriller Deal, Sponsor, Suspense Thriller, Mystery, Space Exploration. Rated: 4.1 stars on 182 Reviews. 237 pages. ASIN: B00RA7QOHY. Reviewers love it: This was such an edge-of-the seat story when I started, that I couldn’t stop reading! What an engaging read! I zipped through the book in a day because I was interested in how it would end! It moves fast and I was quite surprised at how attached to the characters I became! I really loved it! I don’t think I have ever spent a dollar this well! *The Power Flux: A Novel (Deal, Not Free) by Ben Scott Craig. Price: $0.99. Genre: Political Thriller Deal, Sponsor, Metaphysical, Metaphysical & Visionary, Political. Rated: 4.1 stars on 17 Reviews. 308 pages. ASIN: B017EWI2I8. The scifi was not too far off reality, which made this book really good! I loved it! The pacing and the nonstop action make it a page turner! Not only is Craig’s writing style gripping, but it is also mind blowing! Looking forward to more from this author! *The Appointed: David Wolf Mystery Thrillers 1 and 2 Bundle (Foreign Deceit and The Silversmith) by Jeff Carson. Price: Free. Genre: Mystery Box Set, 2 Book Box Set Bundle, Anthologies, Collections & Anthologies. Rated: 4.8 stars on 18 Reviews. 439 pages. ASIN: B018WRIZG8. *Lost in New York (The Lucy Ripken Mysteries Book 5) by J.J. Henderson. Price: Free. Genre: Crime Thriller, Amateur Sleuths, International Mystery & Crime. Rated: 4.7 stars on 7 Reviews. 167 pages. ASIN: B018BPBH8Y.